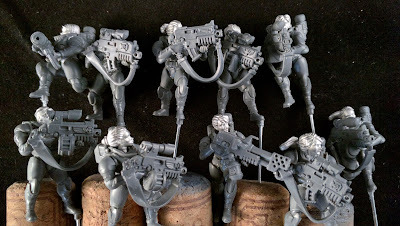 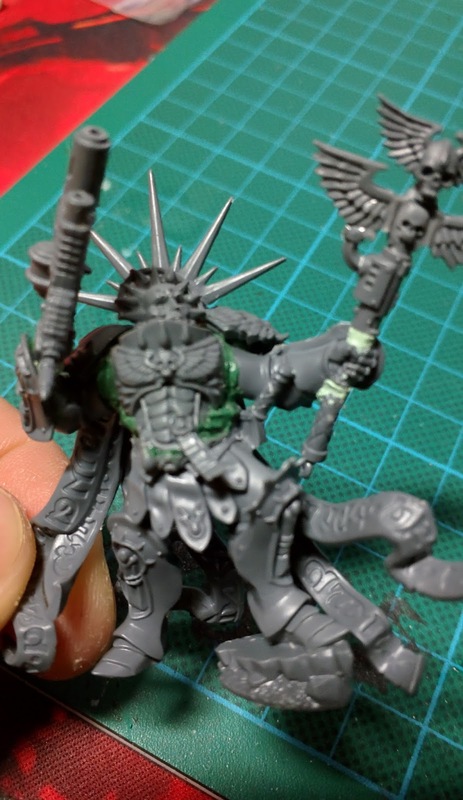 With the Crozius completed, I started working on finalizing the posing of the Chaplain's weapon. 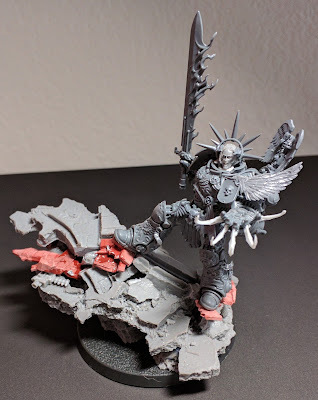 Given the general feeling that I wanted this Chaplain to jump around with the Sanguinary Guard, for fluffiness, I felt a combi-melta would fit nicely with all the melta the Sanguinary Guard bring, and also the close combat nature of the group. 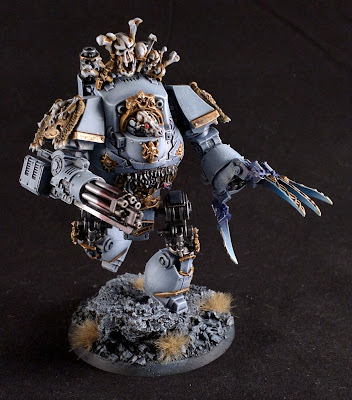 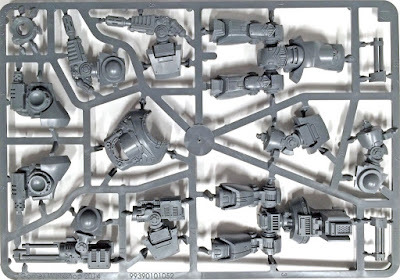 My thoughts would be that the Chaplain would hang at the back of the group, bringing the smack down of the Crozius where needed, so his lack of a pistol did not unduly hamper his close combat abilities. 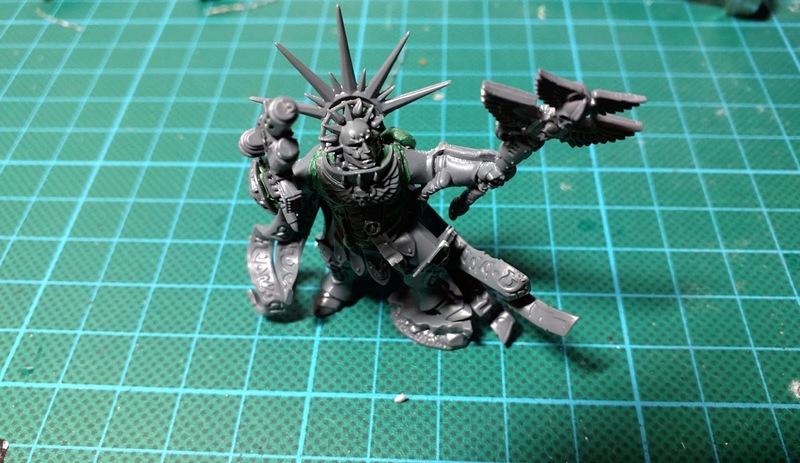 Anyways, so this is what the dry fit of the parts and pose look like. 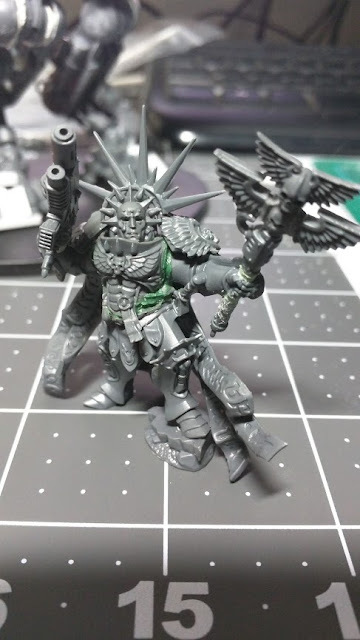 So I am thinking the angles frame the "movement" of the pose well, the scrolls draw the eye to the center of the model, and the arms and weapon give a forward movement feel. 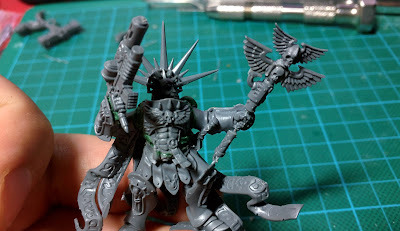 A better close up of the final head choice and magi-sculpt gap filling.